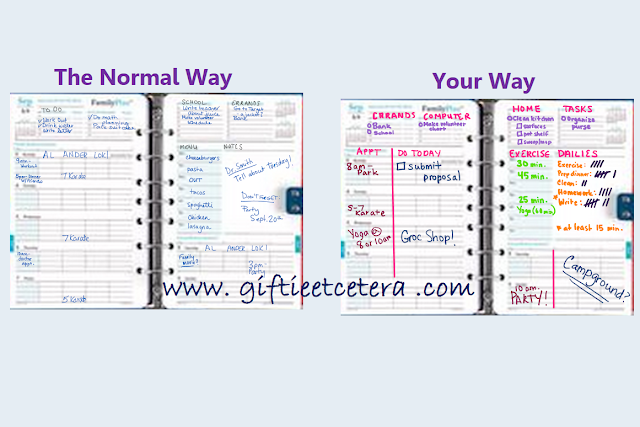 Let's examine pictures of the FranklinCovey Classic Blooms inserts, the Filofax To Do List Personal Size inserts, and one version of the DAY-TIMER Academic Year Weekly/Monthly Planner Mom planner. The images are blurry on purpose, so you look beyond the apparent formatting and format them yourself. In each case, I've filled out the pages on the left with a typical set of entries, that reflect the intended use of the page layout, and an accompanying use of the layout that I might use. 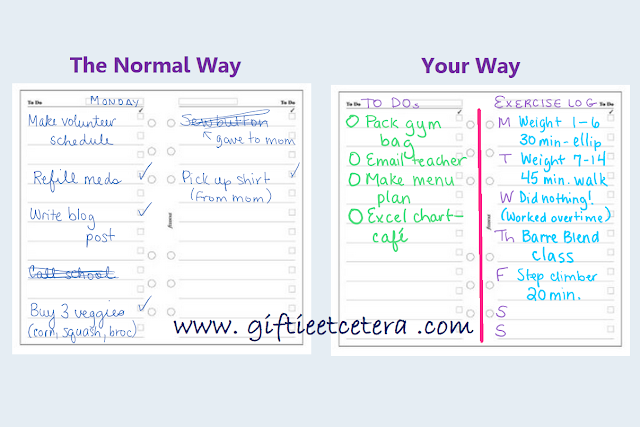 I hope this gives you some great ideas for using any planner insert in a way that works better for you! Of course, if the original way makes more sense for you, go for it. 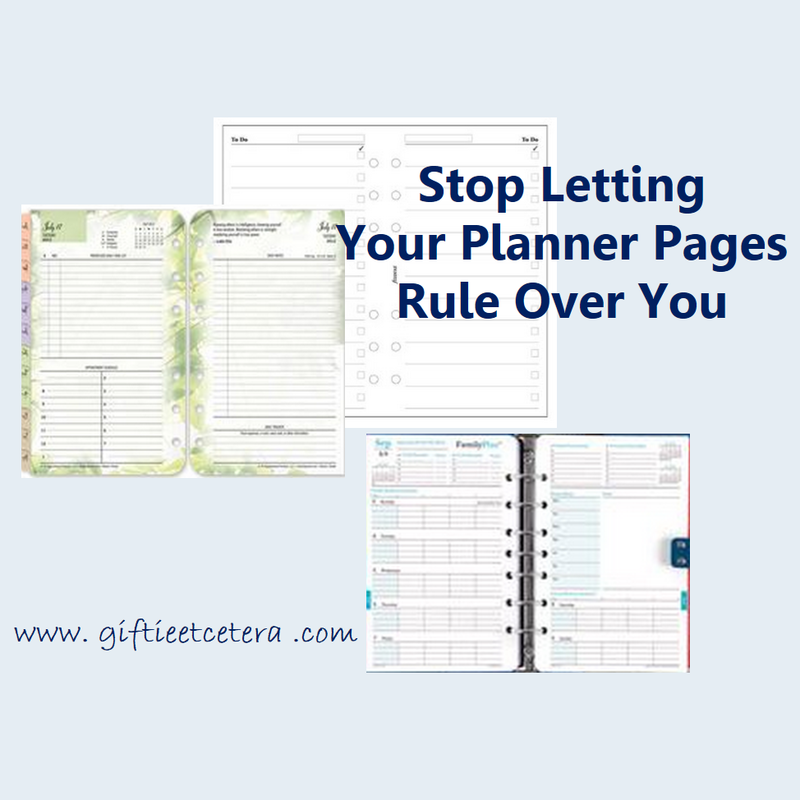 After all, planning is about using the planner your way. Images were created on a Microsoft Surface Pro 3. Your timing is spooky. I've just received my new 2016 FC month tabs. After many years of the original plain green, I tried the Blooms series. Nice but too much color for me, so back to my plain month on 2 pages. Also, I've found that switching the Sunday squares to the right (using the notes section) makes planning through the weekend much simpler for me. I don't actually use Blooms. Know why? Too much color. :) So I feel you! This is so hard for rule followers to get past. It's like you have to give yourself permission to color outside the lines. 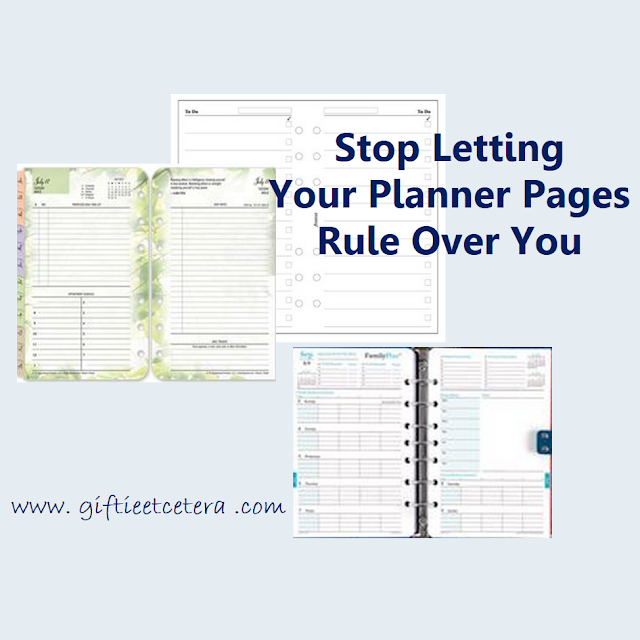 But it's your planner, so you definitely should do what works best for you! Great post! I totally do this! I have a planner that I print out that isn't "right" for me. I keep saying I will make my own soon. LOL! Until then I just keep "reformatting" to make the one I have work. I LOVE my planner, and I totally make it my own. I am an outside of the box kinda girl. I haven't used a written physical planner in years! I love to color code my Google calendar though. I keep meaning to use a planner! Now I'm motivated! So I just said to myself upon reading this, "oooh, I like that Day-Timer Academic Year Week/Month Planner Mom setup, but I'm not a mom and...." I completely stopped myself, immediately forgetting what this post was all about. You showed in the 'Your Way' diagram that it can be manipulated to suit your individual needs. And I don't care for a lot of flowery, colorful pages or else all my text will get lost in the pretty. I'm a plain and simple gal. Also, plain pages allow me to use my own color when I want to. I'm so on board with finding creative ways to use structured/pre-formatted pages. These are some great examples! I just got a planner. I know people love to decorate but mine has to be practical! 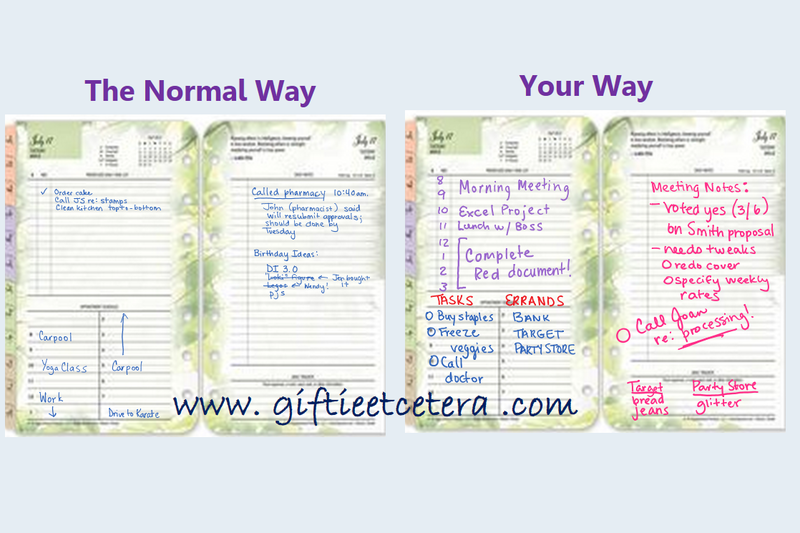 Planners are a great way to be organized and I love your colour co-ordination. Thanks for linking up with us at #AnythingGoes. The use of colour is great. I have recently been on the search for 'the perfect planner'. I never thought to 'use it my own way'! Thank you!! I don't even have a planner. Just a small calendar from the dollar store, works for me. Cheaper too! Here from While I'm Waiting Wednesday. Its the same things every year, I buy a new planner and think I am going to get organized and start out and then I lose interest and they go by the wayside. 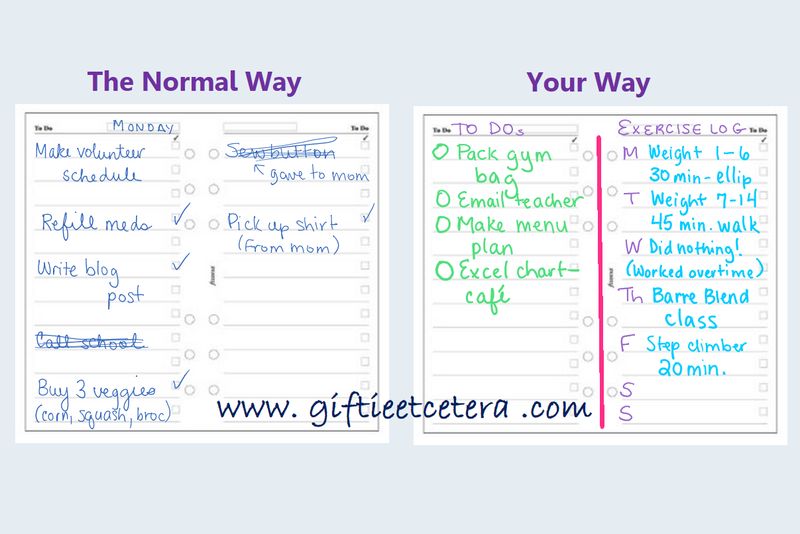 I usually use a note book to write notes for errands and one for a grocery list, thats what works for me. Thanks for sharing on Friday Features and for the link back as well. I think it's important with any planner, to make it your own. Otherwise, we have pages and even whole sections that go unused. Thanks for sharing at the Weekend Blog Hop at My Flagstaff Home!